Lion’s lost his rhythm and his bongos are missing a beat! Will the matching band help him get his tempo back in time for the summer fair? 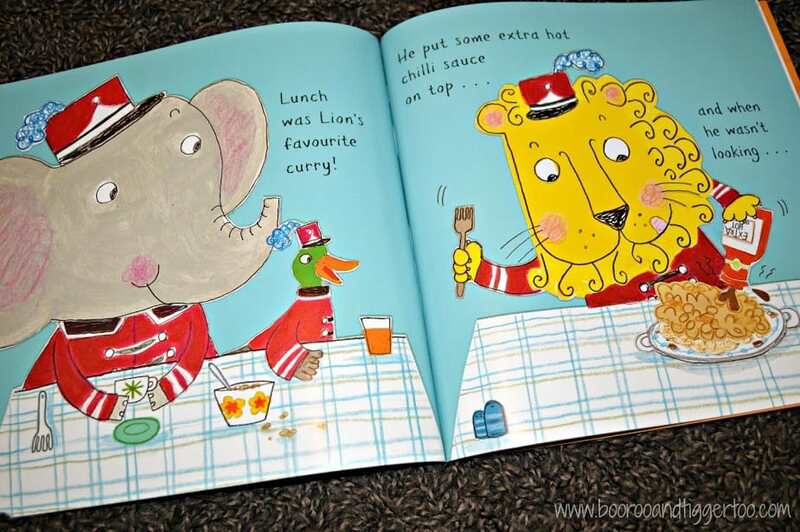 Follow Lion through the book as he learns all about rhythm and counting. Join the marching band as the practice for an important concert at the Summer Fair. Lion helps the marching band keep time by bashing on his bongo’s until he starts to feel sleepy. See what the marching band do to try and keep Lion awake. The story can be enjoyed either by listening to the accompanying audio CD or by reading aloud. 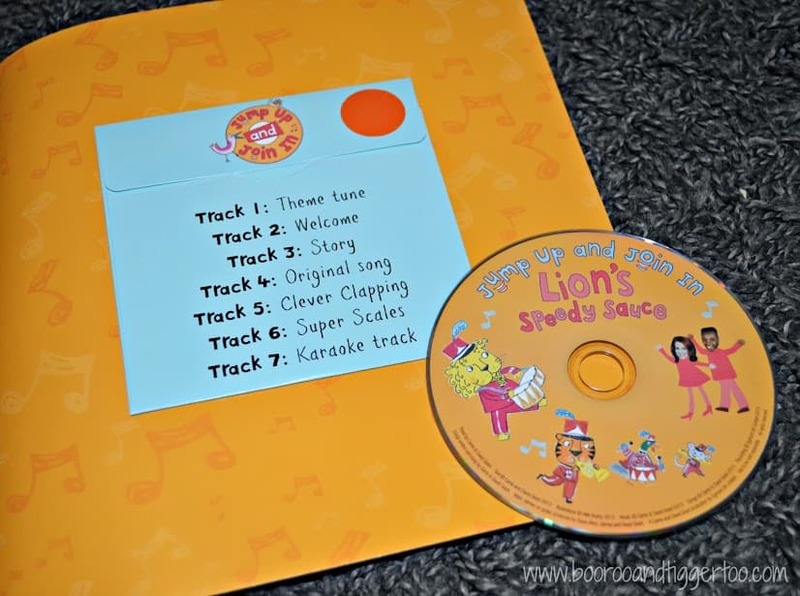 The audio CD also contains some bonus tracks including ‘Clever Clapping’, which teaches children about rhythm and keeping time. 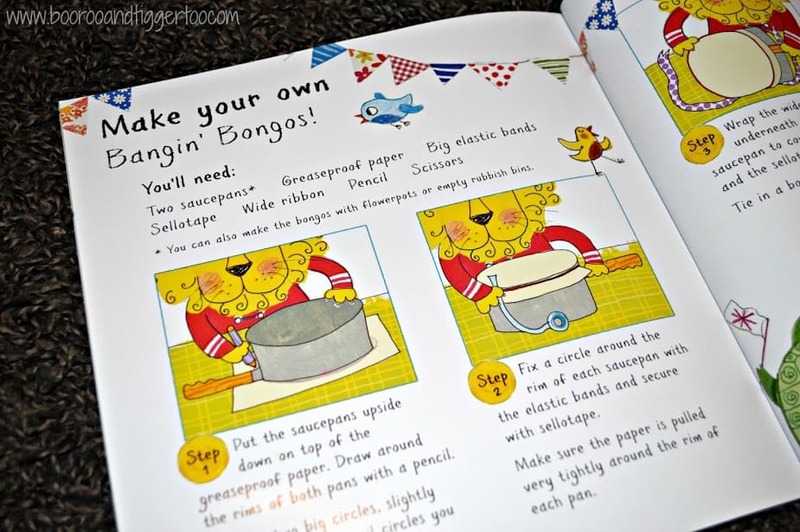 If you little one enjoyed watching Lion bash on his bongo’s then why not make your own? Following the step by step instructions you too can make a set of bongo’s using pans and greaseproof paper. Tigger really enjoyed this story and loved joining in by stomping his feet everytime Lion bashed on the bongo’s. Although his favourite part of the book has to be the ‘Clever Clapping’ chapter, as Tigger can recognise numbers he really liked pointing them out. Explaining to him when to clap was a little more difficult but as he is only 2 1/2yrs I thought he did quite well. Roo really wanted to make her own bongo’s although we didn’t have any elastic bands big enough to go round our saucepans. We did try with string but it doesn’t hold as well as an elastic band would, so I’ve promised Roo I will ask the Postman if he has any big elastic bands we can have to make the bongo’s. 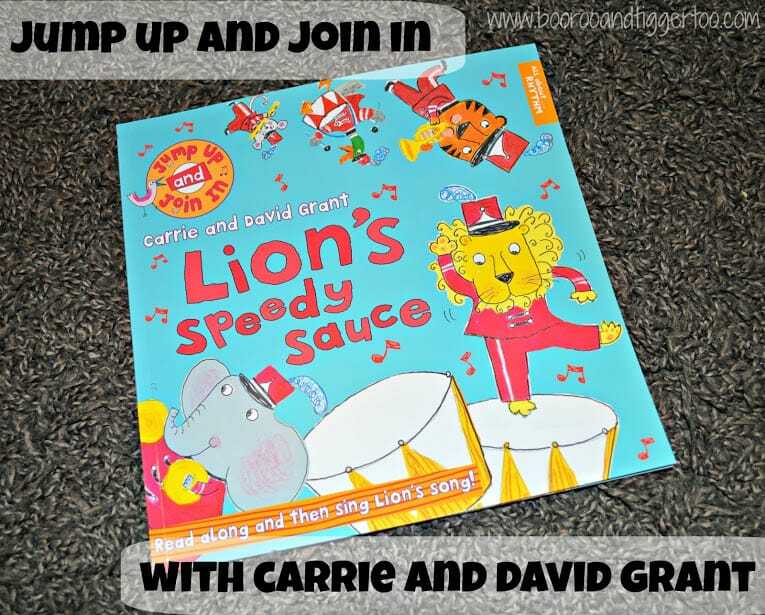 Jump up, join in and read along with Carrie and David as they teach you to enjoy and feel confident about music. Stars of children’s TV shows and vocal coaches to Take That, The Saturdays and the Spice Girls, Carrie and David are also ambassadors for Sing Up, which develops singing in schools.